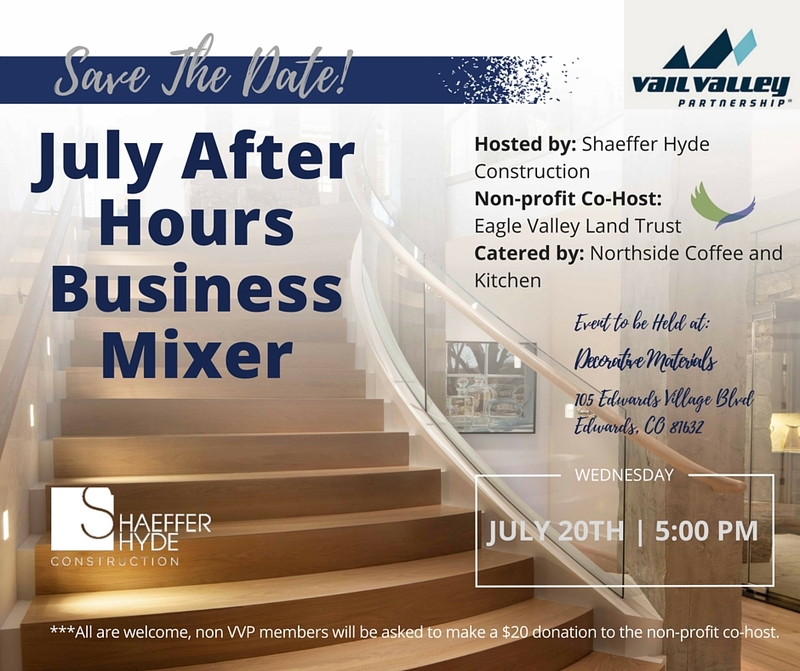 Shaeffer Hyde will be hosting an After Hours Business Mixer in affiliation with the Vail Valley Partnership. The event will take place at the beautiful Decorative Materials Showroom located in Edwards, Co above the post office. The doors will open at 5pm. We encourage our friends and associates join us for this casual after-hours occasion. Non-VVP members who attend the mixer will be asked to donate $20 to the nonprofit co-host, Eagle Valley Land Trust. VVP members may voluntarily donate as well.